Indoor & outdoor calisthenics is now a top trend in global fitness with continued growth each year. In calisthenics / street workout as a sport Kenguru Pro is the world's leading bodyweight exercise equipment manufacturer for gyms. 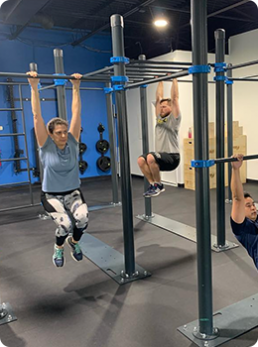 Kenguru Pro company has been a leading producer of street outdoor, indoor & para-workout equipment since 2011.This equipment is also commonly known as street workout / calisthenics equipment. 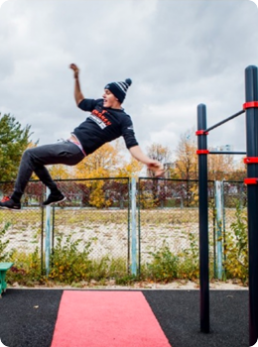 Alongside Kenguru Pro’s elite product line of bodyweight exercise equipment, we are working hard behind-the-scenes to bring exciting new technology to the forefront of street sports. Stay updated with the latest Kenguru Pro Special Projects here. Get a detailed look at the process and production of Kenguru Pro’s patented calisthenics equipment. Quality, usability and design is our main focus. Learn more about how Kenguru Pro is popularizing street sportsand promoting active, healthy lifestyles for athletes of all ages. Get more information about ordering Kenguru Professional equipment.